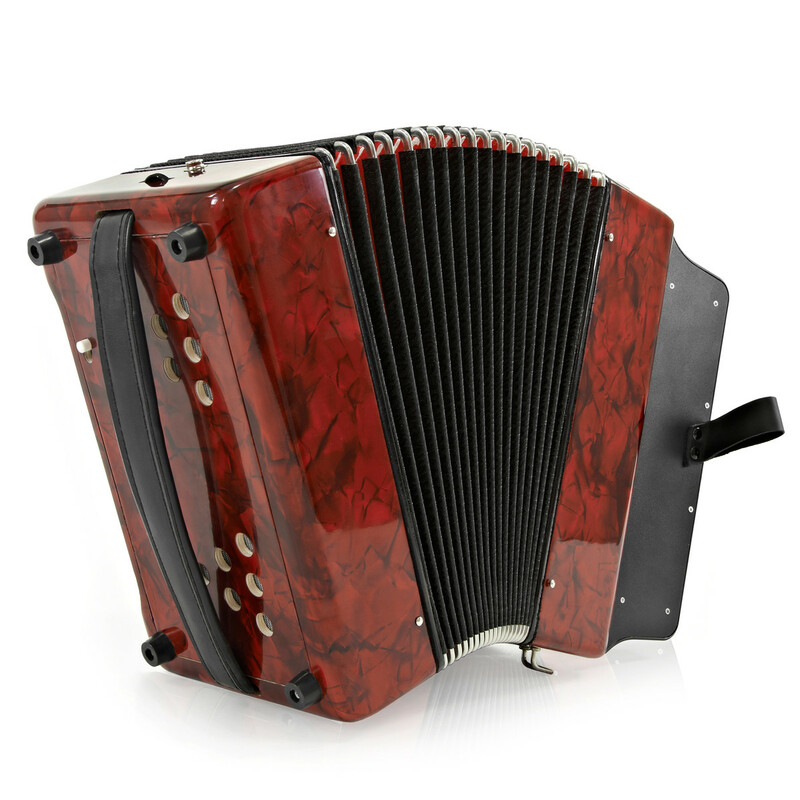 The Diatonic Button Accordion by Gear4music is an excellent instrument, ideal for any beginner or intermediate player. 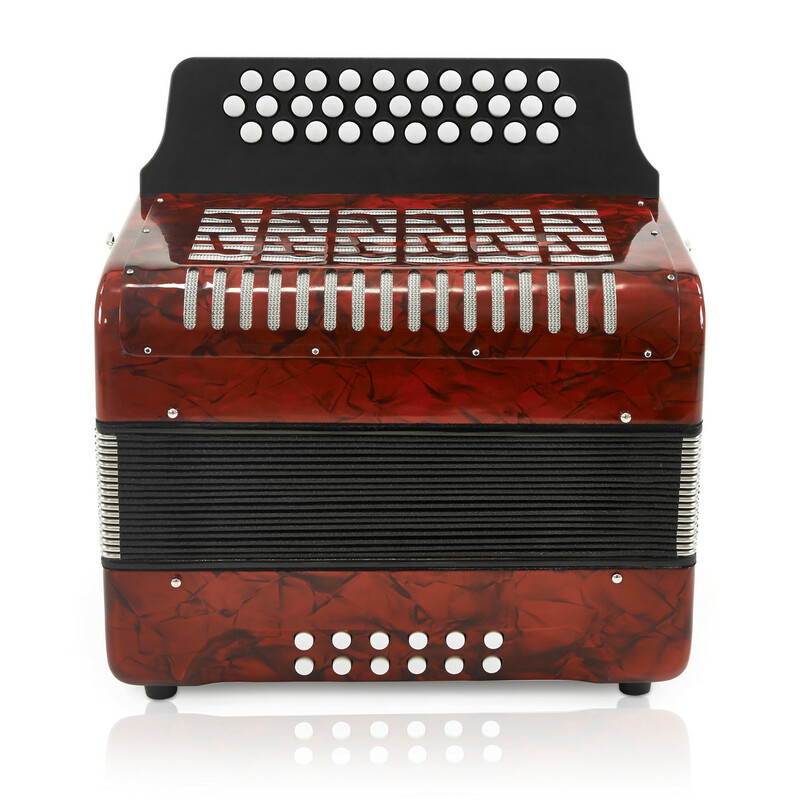 The quality of the Diatonic Button Accordion by Gear4music shines through with a fantastic full sound across its bass and treble range. A pearloid design and leather strap help finish our design in style. 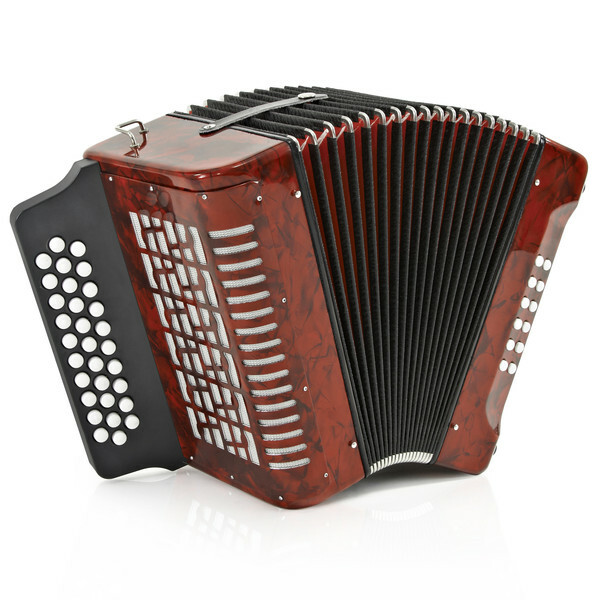 The Diatonic Button Accordion by Gear4music caters for anyone new to the instrument, but with a sound and quality which will please the more accomplished of players. 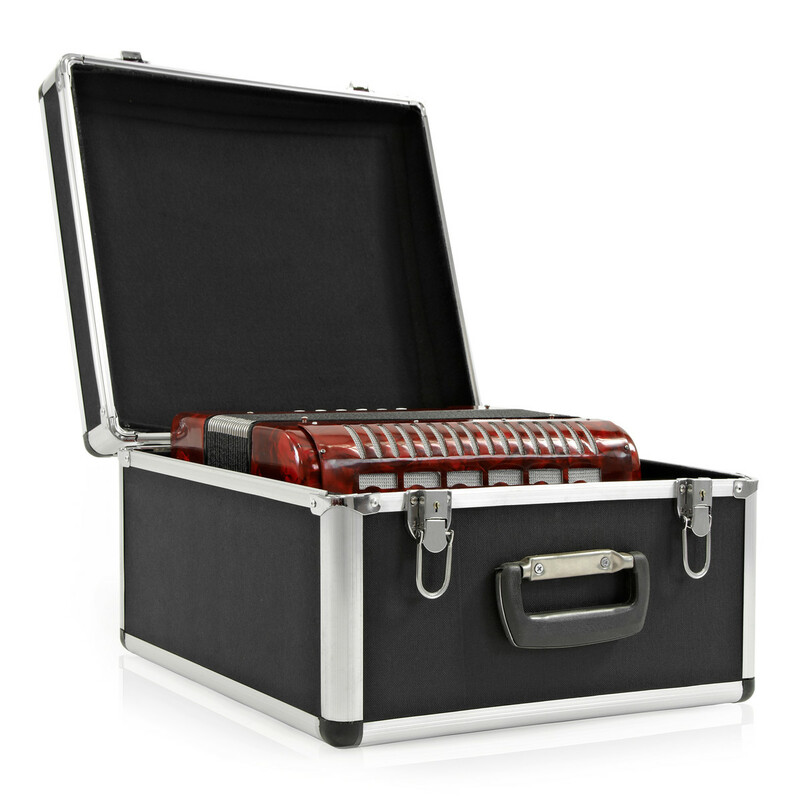 This instrument incorporates a 31 button key design with 12 bass keys for a versatile sound and range. 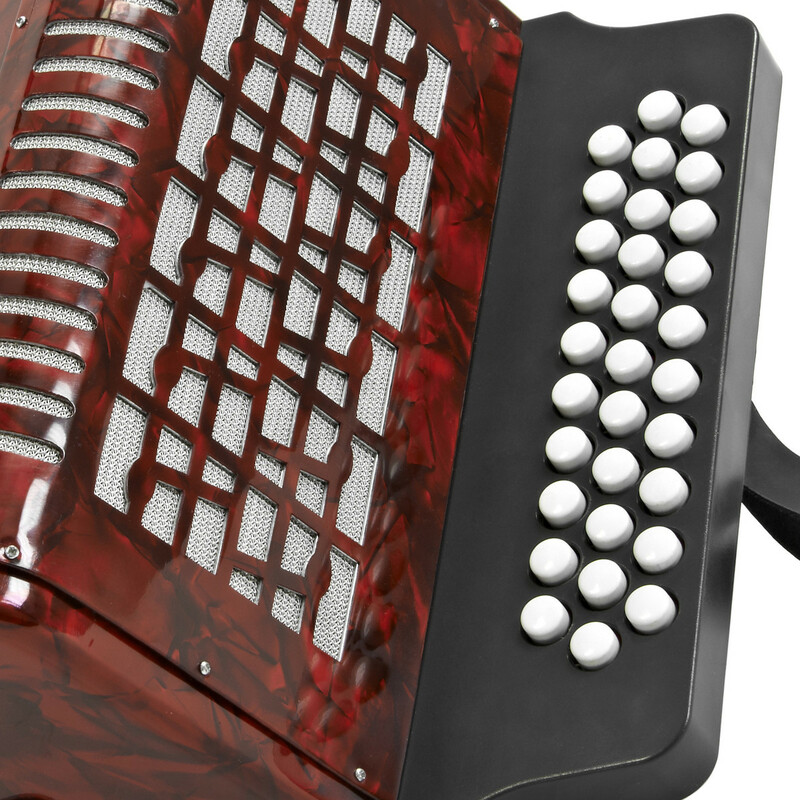 The Pearloid design finishes this instrument beautifully, whilst leather straps ensure the instrument stays exactly where you want it.